In Hindu Mythology, an Avatar is the descent of a deity to the earth in an incarnate form or manifest shape; In other words...the incarnation of a god/ the divine Self...Krishna! Lord Krishna lived for 125 years. RAJKOT: It's now official. Lord Krishna was born on21-07-3227 BC and died on 18-02-3102 BC. A banshee is a female spirit in Irish mythology who heralds the death of a family member, usually by wailing, shrieking, or keening. Her name is connected to the mythologically important tumuli or "mounds" that dot the Irish countryside, which are known as síde (singular síd) in Old Irish. blessings, all of which escaped but hope. Here are a hundred Bhagavad Gita quotes, spoken by Krishna to Arjuna on the battlefield of the Kurukshetra. These are taken from a translation by Eknath Easwaran. 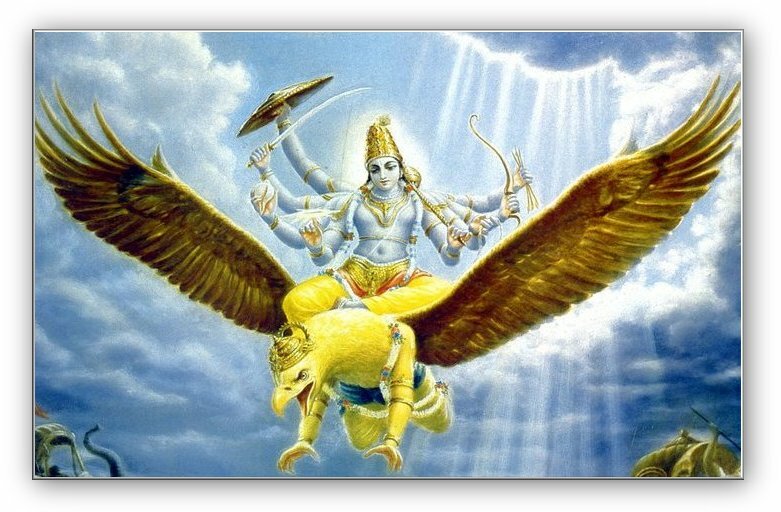 You may also be interested in the free pdf downloads of the Bhagavad Gita. Whenever dharma declines and the purpose of life is forgotten, I manifest myself on earth. I am born in every age to protect the good, to destroy evil, and to reestablish dharma. As they approach me, so I receive them. All paths, Arjuna, lead to me. I am the beginning, middle, and end of creation. Among animals I am the lion; among birds, the eagle Garuda. I am Prahlada, born among the demons, and of all that measures, I am time. I am death, which overcomes all, and the source of all beings still to be born. Behold, Arjuna, a million divine forms, with an infinite variety of color and shape. Behold the gods of the natural world, and many more wonders never revealed before. Behold the entire cosmos turning within my body, and the other things you desire to see. I am time, the destroyer of all; I have come to consume the world. That one is dear to me who runs not after the pleasant or away from the painful, grieves not, lusts not, but lets things come and go as they happen. Just as a reservoir is of little use when the whole countryside is flooded, scriptures are of little use to the illumined man or woman, who sees the Lord everywhere. They alone see truly who see the Lord the same in every creature, who see the deathless in the hearts of all that die. Seeing the same Lord everywhere, they do not harm themselves or others. Thus they attain the supreme goal. With a drop of my energy I enter the earth and support all creatures. Through the moon, the vessel of life-giving fluid, I nourish all plants. I enter breathing creatures and dwell within as the life-giving breath. I am the fire in the stomach which digests all food. There are three gates to this self-destructive hell: lust, anger, and greed. Renounce these three. That which seems like poison at first, but tastes like nectar in the end – this is the joy of sattva, born of a mind at peace with itself. The Lord dwells in the hearts of all creatures and whirls them round upon the wheel of maya. Run to him for refuge with all your strength, and peace profound will be yours through his grace. Whatever you do, make it an offering to me – the food you eat, the sacrifices you make, the help you give, even your suffering. I am heat; I give and withhold the rain. I am immortality and I am death; I am what is and what is not. Those who worship other gods with faith and devotion also worship me, Arjuna, even if they do not observe the usual forms. I am the object of all worship, its enjoyer and Lord. Those who remember me at the time of death will come to me. Do not doubt this. Whatever occupies the mind at the time of death determines the destination of the dying; always they will tend toward that state of being. They live in wisdom who see themselves in all and all in them, who have renounced every selfish desire and sense-craving tormenting the heart. Perform work in this world, Arjuna, as a man established within himself – without selfish attachments, and alike in success and defeat. For yoga is perfect evenness of mind. Do your work with the welfare of others always in mind. It was by such work that Janaka attained perfection; others too have followed this path. There is nothing in the three worlds for me to gain, Arjuna, nor is there anything I do not have; I continue to act, but I am not driven by any need of my own. You and I have passed through many births, Arjuna. You have forgotten, but I remember them all. My true being is unborn and changeless. I am the Lord who dwells in every creature. Through the power of my own maya, I manifest myself in a finite form. Those who know me as their own divine Self break through the belief that they are the body and are not reborn as separate creatures. Such a one, Arjuna, is united with me. Bhagavad Gita Quotes on the EmotionsDelivered from selfish attachment, fear, and anger, filled with me, surrendering themselves to me, purified in the fire of my being, many have reached the state of unity in me. The process of offering is Brahman; that which is offered is Brahman. Brahman offers the sacrifice in the fire of Brahman. Brahman is attained by those who see Brahman in every action. Even if you were the most sinful of sinners, Arjuna, you could cross beyond all sin by the raft of spiritual wisdom. Krishna delivers the Gita to Arjuna. As the heat of a fire reduces wood to ashes, the fire of knowledge burns to ashes all karma. Those who surrender to Brahman all selfish attachments are like the leaf of a lotus floating clean and dry in water. Sin cannot touch them. Those who renounce attachment in all their deeds live content in the “city of nine gates,” the body, as its master. They are not driven to act, nor do they involve others in action. Those who possess this wisdom have equal regard for all. They see the same Self in a spiritual aspirant and an outcaste, in an elephant, a cow, and a dog. Pleasures conceived in the world of the senses have a beginning and an end and give birth to misery, Arjuna. The wise do not look for happiness in them. But those who overcome the impulses of lust and anger which arise in the body are made whole and live in joy. They find their joy, their rest, and their light completely within themselves. United with the Lord, they attain nirvana in Brahman. It is not those who lack energy or refrain from action, but those who work without expectation of reward who attain the goal of meditation. Those who cannot renounce attachment to the results of their work are far from the path. With your mind intent on me, Arjuna, discipline yourself with the practice of yoga. Depend on me completely. Listen, and I will dispel all your doubts; you will come to know me fully and be united with me. itself take place in me. There is nothing that exists separate from me, Arjuna. The entire universe is suspended from me as my necklace of jewels. Bhagavad Gita Quotes on Life and DeathThe states of sattva, rajas, and tamas come from me, but I am not in them. Under my watchful eye the laws of nature take their course. Thus is the world set in motion; thus the animate and the inanimate are created. I am the goal of life, the Lord and support of all, the inner witness, the abode of all. I am the only refuge, the one true friend; I am the beginning, the staying, and the end of creation; I am the womb and the eternal seed. Those who worship the devas will go to the realm of the devas; those who worship their ancestors will be united with them after death. Those who worship phantoms will become phantoms; but my devotees will come to me. Those who worship the devas will go to the realm of the devas; those who worship their ancestors will be united with them after death. Those who worship phantoms will become phantoms; but my devotees will come to me. Fill your mind with me; love me; serve me; worship me always. Seeking me in your heart, you will at last be united with me. I have shared this profound truth with you, Arjuna. Those who understand it will attain wisdom; they will have done that which has to be done. I give you these precious words of wisdom; reflect on them and then do as you choose. to lighten up our innermind. The Na'vi language was created entirely from scratch by linguist Dr. Paul R. Frommer. James Cameron hired him to construct a language that the actors could pronounce easily, but did not resemble any single human language. Frommer created about 1,000 words. To appease 20th Century-Fox's fears, and remembering the harrowing experience of Titanic (1997) and its production overruns and costly delays, James Cameron promised to forgo his director's fee if Avatar (2009) flopped. Chris Pine auditioned for the lead role and said that it was his worst audition ever. According to Sam Worthington, he was invited to the casting via a phone call. The person who called told him nothing about the script, nor did they even tell him the director's name. Worthington was disappointed at first, thinking it was "another waste of time." According to James Cameron, the Na'vi are blue to create a conceptual parallel with traditional Hindu depictions of God (e.g., Vishnu and his later "avatars"--a Sanskrit word meaning "a manifestation of divinity in bodily form"--such as Rama, Krishna, etc.) but also because Cameron just liked the color blue. James Cameron admitted in an interview that he got the idea for "Avatar" after watching Disney's 1995 animated film Pocahontas (1995). Sam Worthington said in an interview that it was easier for him to master the Na'vi language than the American accent. The book Grace picks up in the abandoned school is called "The Lorax" by Dr. Seuss. Like the plot of the film, the book is about a forest full of beautiful trees and mystical creatures that are destroyed by man's lust for ever growing industry. Chris Pratt auditioned for the role of Jake Sully. In much of the movie, Sigourney Weaver's avatar wears a Stanford tank top. Weaver attended Stanford in the early 1970s. The cap that Norm Spellman wears during his first trip into the Pandoran jungle has Braille symbols on it that represent "#1969," or "Number 1969," the year that humans first landed on the moon. The year is never stated, but the video log shows that the year is 2154. The final battle takes place during August 2154, 200 years from the date of James Cameron's birth. The film reached the U.S. $500-million mark in 32 days, beating The Dark Knight (2008)'s previous record of 45 days. James Cameron's previous film, Titanic (1997), took 98 days to reach the U.S. $500-million mark. While the movie was often described as "anti-war" by critics and fans, James Cameron repeatedly said in interviews that the film was not inspired by or commenting on any specific conflicts or any specific nation's overall foreign of defence policies. Cameron also said that the film DID have a brutally strong pro-environmentalist message on purpose because, as he put it, "I am a tree-hugger." The first time Sigourney Weaver has appeared in a James Cameron film since Aliens(1986). Cameron said that he didn't want to cast her at first, exactly because "she was [his] safest choice to play the botanist." James Cameron designed Neytiri's costumes based on a taparrabo, a loincloth thing worn by Mayan Indians. The film's landscapes were in part inspired by the famed Huangshan Mountain in China. This film was released in China, but its 2D version was pulled from cinemas very quickly afterwards, despite the film being the most popular shown in China ever. It is likely that a large part of this was because of its message, which could be seen as being potentially inspirational to oppressed people within China. Oddly enough, China still allowed the 3D version to be shown even afterwards. Mo'at, the spiritual leader of the tribe, is referred to by the title "Tsahik." This name sounds remarkably similar to the Hebrew "Tsaddik," meaning an individual of outstanding virtue and piety. The term is often applied to an especially knowledgeable interpreter of Biblical law and scriptures. In the original draft, Jake's name was Josh, while Neytiri's was Zuleika (a real female name of Arabic origin, meaning "fair", "brilliant" and "lovely"). In the final battle sequence, Jake jumps onto Col. Quaritch's gunship. The colonel sees Jake and pushes the control stick to swerve the ship. Jake loses balance and slides down the ship, where he grabs and hangs on to a missile. This is a reference to True Lies(1994), also directed by James Cameron. In that film, Harry Tasker uses the control stick to swerve the Harrier jet he is flying. The terrorist, who is standing on the jet, loses balance and slides down the wing of the jet, and his suspenders catches on the missile. Though he is not credited in the film, several locations look very similar to paintings by English surrealist Roger Dean, most notably his works "Floating Islands" and "Arches." Jodie Foster and Jamie Lee Curtis were considered for the role of Dr. Grace Augustine. According to a CNN report, Cameron visited the Brazilian rain forest more than once after receiving outcries from tribal leaders inspired by his film. During one visit Cameron was a real-life Jake Sully; with warpaint on his face, and a spear in his hand, he met with 18 indigenous tribal leaders to plan a battle to stop construction of a proposed dam. The Chinese renamed one of their national park mountains as Avatar Hallelujah Mountain, because of this film. Of course, according to James Cameron, the design of the mountains in the film are inspired by the mountains around southern China, in particular, Huangshan. James Cameron started developing the film in 1994. The film was reportedly conceived in the 1990's - an era when "Save the Rainforest" was a popular phrase in society. Americans and other countries were highly vocal in protest over industrial slashing and burning of Amazon rain forests and forced displacement of indigenous tribes. By the time the technology was finally available to make this film, movement's popularity had faded significantly. James Cameron initially wanted Q'orianka Kilcher to play Neytiri, based on her role as Pocahontas in The New World (2005). In early December 2005, a casting call for the female lead was posted on the website of Mali Finn Casting. It erroneously identified the movie as James Cameron's Alita: Battle Angel (2018). James Cameron has mentioned Roger Dean as a possible influence on the landscapes. James Cameron said making the film was "a complete leap into the unknown. Like a jump off a cliff and madly fabricating a parachute on the way down. It's a lot of fun to be out on the edge and know that you're doing something nobody's ever done before." Grace Augustine was originally named Shipley in earlier drafts. James Cameron said, "Some people think of this as an animated film. It's not an animated film because I'm not an animator. I don't want to be an animator. I'm a director. I want to work with actors. A director-centric actor-centric process." Zoe Saldana's Star Trek (2009) co-star Chris Pine and her future Guardians of the Galaxy (2014) co-star Chris Pratt unsuccessfully auditioned for Jake Scully. The film took 4 years to make. James Cameron felt that after working months and months on the Na'vi and the avatars and the creatures, that he stopped thinking about all the work that went into them and just enjoyed the life of those scenes with them. In 2014 an article entitled "The 1960s Avatar TV Show" was posted to the web, claiming that the film was actually a re-imagining of a science-fiction television series from 1963. It supposedly starred William Shatner as Jake Sully (until being replaced by Roger Ewingin season 3) and featured several images from other 1960s sci-fi films and series, with the actors' skin tinted blue. Despite claiming to be authentic, it was entirely a hoax. James Cameron started working on the film following the cancellation of his TV series Dark Angel (2000). James Cameron admitted that expectations were daunting on this film after Titanic (1997) and his other films, but that was to be expected. He does consider "Avatar" different from anything he's made before and it plays by its own rules. This became the first Hollywood movie to sell over ten million tickets in South Korea. An early idea for Pandora that was abandoned was that the sky would be purple and the plants would be blue, but James Cameron felt the Na'vi being blue was challenge enough and just let the greenery be green. James Cameron described his creative process as "what I'm good at is working with actors to create scenes and then editing their performances to get the absolute best version of that scene and then sharing that with the audience. It's an amazing process to go through. Sometimes you think it's not going to work when you get started and then the characters come to life." James Cameron said doing the designs were "a joyful experience. What you imagine is always kind of hazy. It's like the memory of a dream. You can't be specific. You can draw it but it's a completely new act of creation." James Cameron likes 3D because "it brings to cinema what better sound or color brought. I'm making it my ethos not to change how I direct my movies or how I do scenes with the actors. I'm trying to make 3D plus the film or turbocharge it but the basic architecture of the engine is the same and that's the only healthy way to view the 3D. The actors don't act any differently for a 3D camera." Arnold Schwarzenegger said James Cameron's films are extraordinary inspiration. This was the highest-grossing film in South Korea, grossing about $105.48 million. In this film, Zoe Saldana's character Neytiri is an extraterrestrial who falls in love with Jake Scully (Sam Worthington), a human. In Saldana's earlier film Star Trek (2009), released the same year, her character Nyota Uhura, a human, falls in love with Spock (Zachary Quinto), an extraterrestrial. The Space Hippies in Star Trek: The Way to Eden (1969) also had a song that went "I See You." Peter Mensah had appeared in two episodes of Terminator: The Sarah Connor Chronicles(2008) and Sam Worthington had previously starred in Terminator Salvation (2009) as Marcus Wright. Writer and director James Cameron created the "Terminator" franchise. James Cameron wanted to take familiar archetypes and make them fresh and new, like enormous rain forests and mountains that levitate. Sigourney Weaver plays a role similar the one she played in Gorillas in the Mist (1988). In the animated post-apocalyptic fantasy film Wizards (1977), the film's main protagonist was called Avatar. The film was released by 20th Century Fox. In the final battle sequence, Neytiri has a white hand print on her chest as part of her warpaint. It has five fingers, indicating that it is Jake's hand (avatars have five fingers while Na'vi only have four). During the aftermath of Home Tree falling, James Horner uses a three-note motif that is the same as the one used throughout Enemy at the Gates (2001) and Troy (2004), movies that he also scored. In the scene that introduces the concept of the tree of souls to the viewer, Grace remarks that outsiders are forbidden to go there, but that she would "die to get samples." This turns out to be an unfortunately prophetic figure of speech as later, she is allowed to go to the tree of souls because she is dying. Her first words upon arriving are, "I need to get samples . . . "
In the scene where Jake Sully is in prison, his back is to the camera and you can see the back of his wheelchair. The brand of wheelchair he is in is "Grunt," which is another term for a Marine infantryman.